What’s the worst personality trait of a bad marketer? Being Anti-Social! Social media is now an essential component of any integrated marketing campaign, not just an add-on, and requires tailored solutions suited to each available platform. Here, we explain how to incorporate Instagram Stories into your digital marketing strategy. Instagram Stories are ridiculously fun and trendy, but more than anything, they are a spectacular devourer of time, something that is precious to every marketing superstar. The Snapchat-esque filters and stickers that can turn a person into a puppy are truly addictive, not to mention the revolutionary ability to tag, hashtag and check-in while on location. Although the effects may seem more like a novelty then a long-term prospect, there are many amazing benefits to including Instagram Stories into your digital marketing strategy. It is worth the time investment – trust us! Snapchat has a whopping 140 million daily users worldwide. 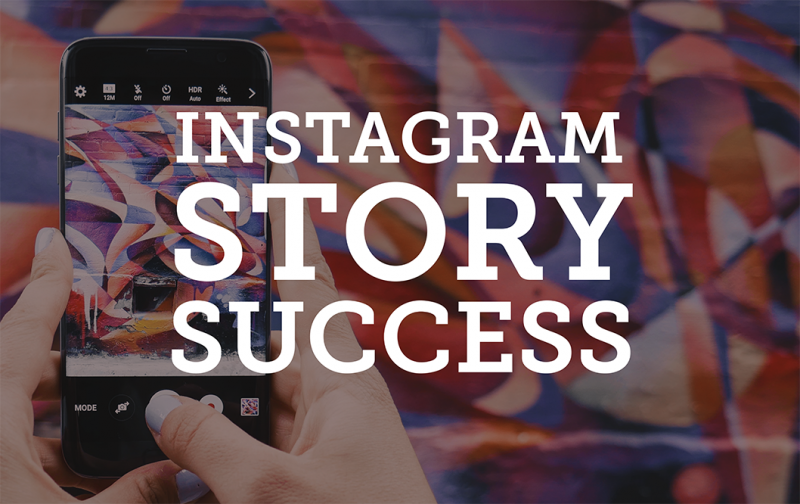 Instagram Stories has surpassed this with flying colours, reaching a record breaking 200 million users on a daily basis. This means there is a huge, potential market of eager beavers ready and waiting for you to post on your story. Your Instagram Story lasts for 24 hours, which is a great opportunity to give your followers a snapshot into your brand or services, but also reach users who don’t already follow you. Instagram Stories are discoverable, meaning anyone can view it. This is supported by Instagram’s algorithm, which shows your story to users who show interest in similar brands. Is there a particular Hashtag you use or follow often? You can now add these Hashtags to your Instagram Stories and it will appear at the top of the Hashtag feed, making you more discoverable. If you are blessed with more than 10,000 followers on Instagram, there will be an option inside your Instagram Stories to include an outbound link, prompting users to ‘swipe up’ to view the story. Use these links strategically to send followers to your website, shop item or blog article. Tagging others in your Instagram Stories makes them feel the love, and can help strengthen your work relationships, or create new ones. Show as many ‘sneak peaks’ of what you’re working on as you can. Giving your followers a behind the scenes view creates a sense of exclusivity and excitement. It also adds a hint of hype to future campaigns or collaborations. People love to know what’s going on with other people. So posting faces of yourself, your co-workers, your pets help people to relate to your story. For businesses, it helps to explain the passion behind your brand and why you love the industry to create long-term fans. Instagram algorithms are changing faster than the latest fitness trends, and regular tweaks are making engagement rates go down. The best part of Instagram Stories is that you are continually engaging with your audience and have the opportunity to be seen more often, without clogging up someone’s newsfeed. Posting an Instagram Story does not require too much detailed planning, as there is really no best time to post because they’re visible for 24 hours! This is important. I would recommend posting at least twice a day, most days of the week. Give yourself sometime between each post, to allow your story to be top-of-mind twice a day to your followers.